Freeze it Forward for 2018 At the heart of our company is the desire to help others, and to empower our community to serve. 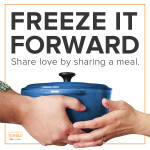 We love to encourage you to “Freeze it Forward” in small ways with your freezer meals…. 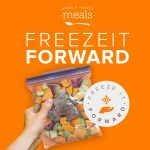 The Story of #FreezeItForward It started with a challenge over two years ago when we encouraged our community to use their freezer meals to gift those in need. Sometimes it was pregnancy, sometimes sickness. Sometimes it was just plain busyness…. 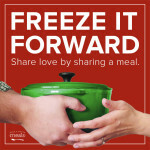 Make a difference this holiday season by Freezing it Forward. Simply gift a freezer meal to someone in need. Find all of our resources for sharing here. 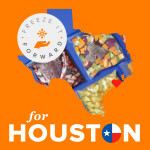 Thank you to all who participated in our Freeze it Forward Challenge and to those who share freezer meals on a regular basis. Here are some testimonies to encourage us all! Is your freezer full of meals? Find a way to be fulfilled by gifting a meal (or several) to someone who needs them. OAMM challenges you to freeze it forward!